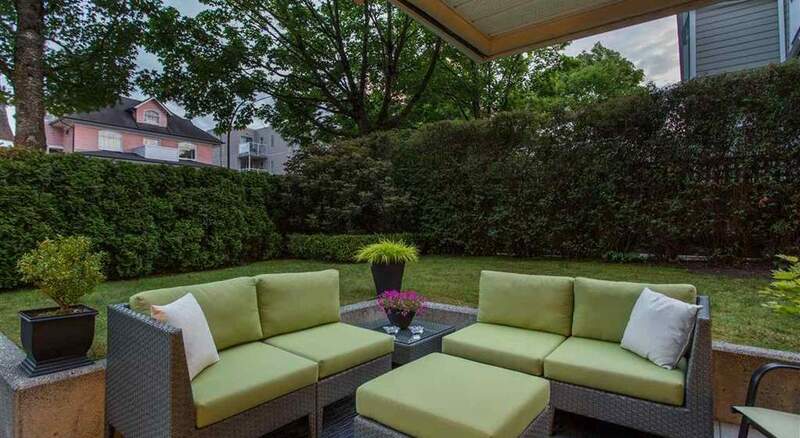 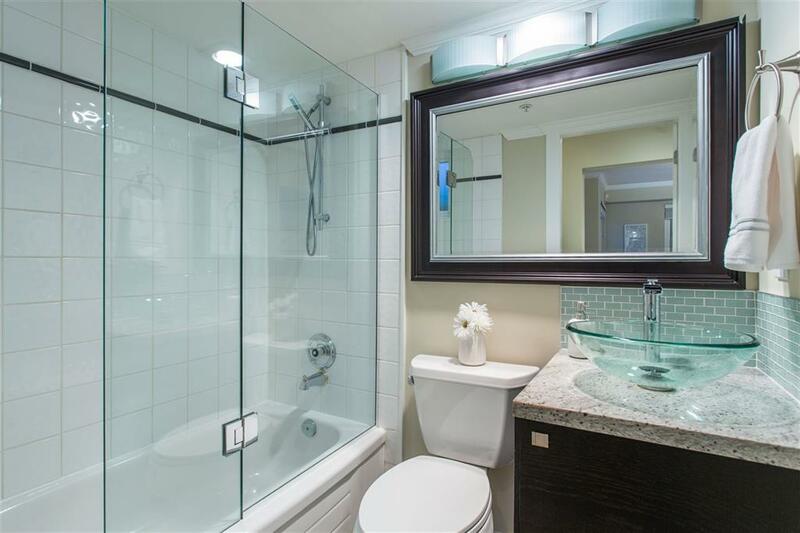 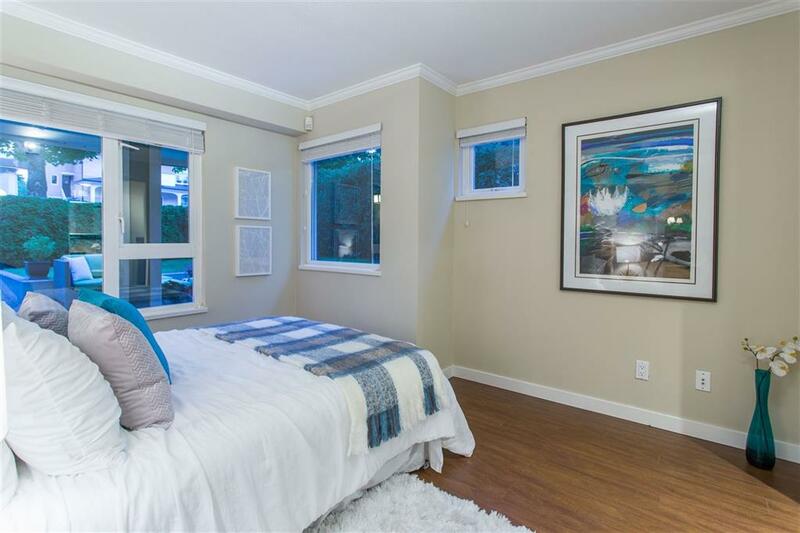 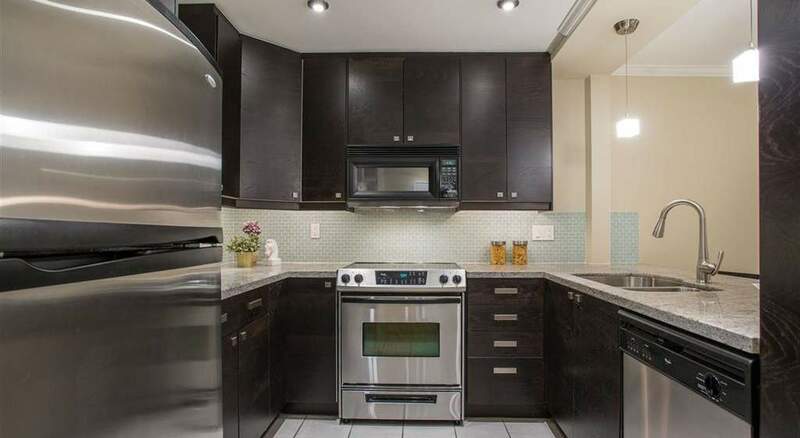 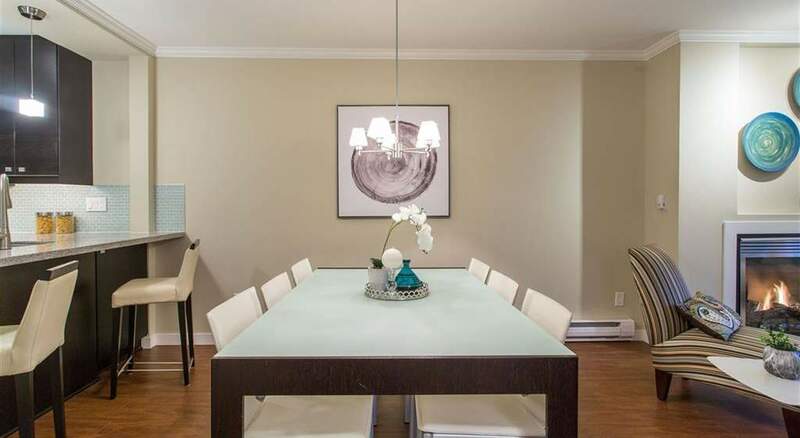 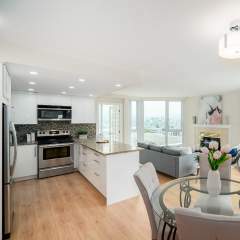 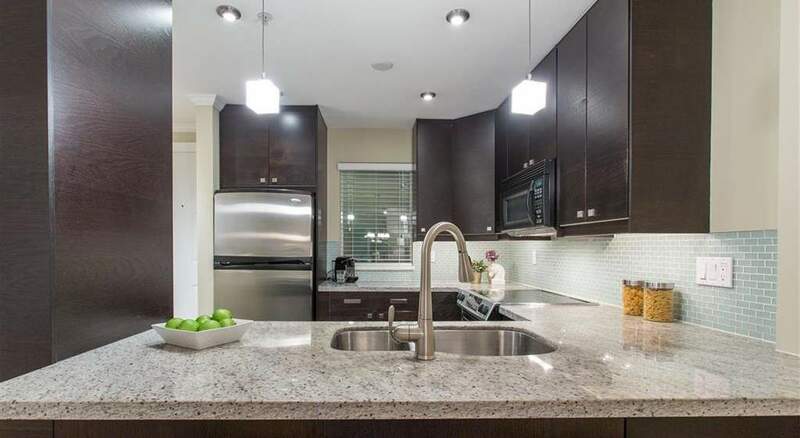 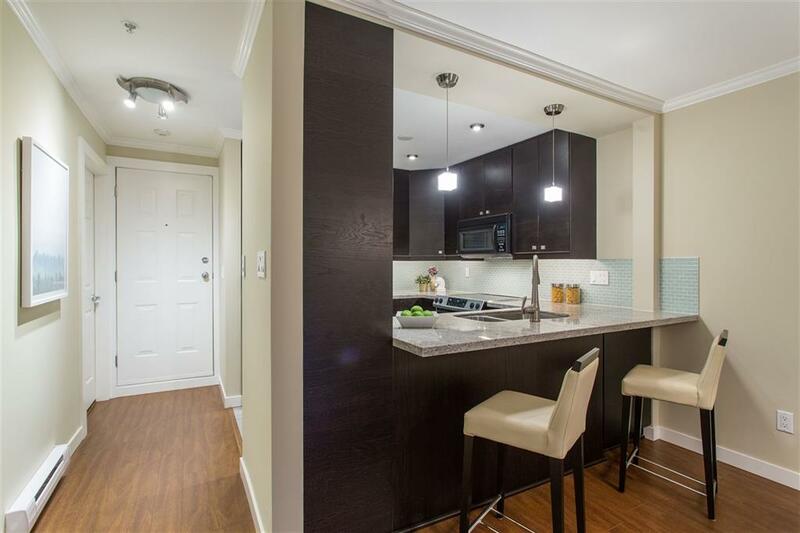 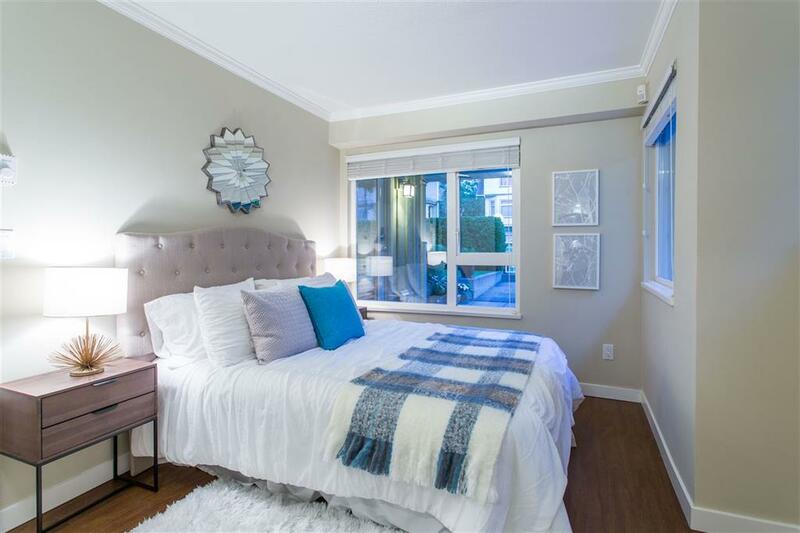 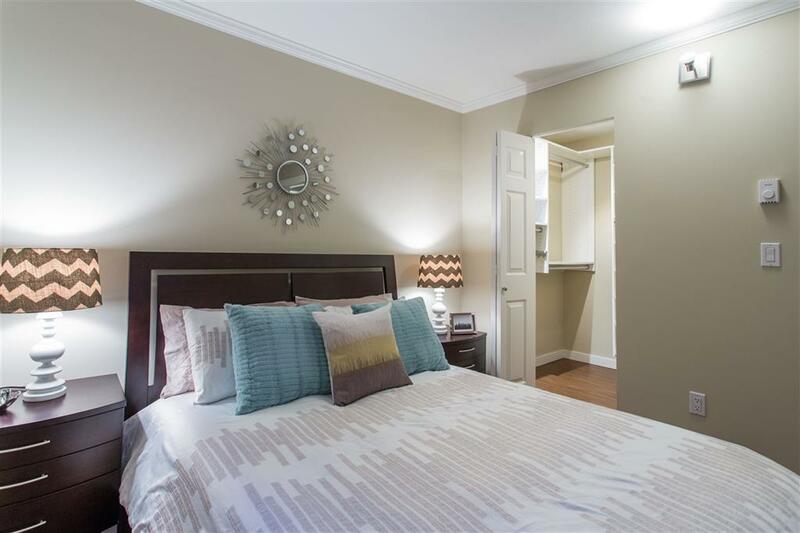 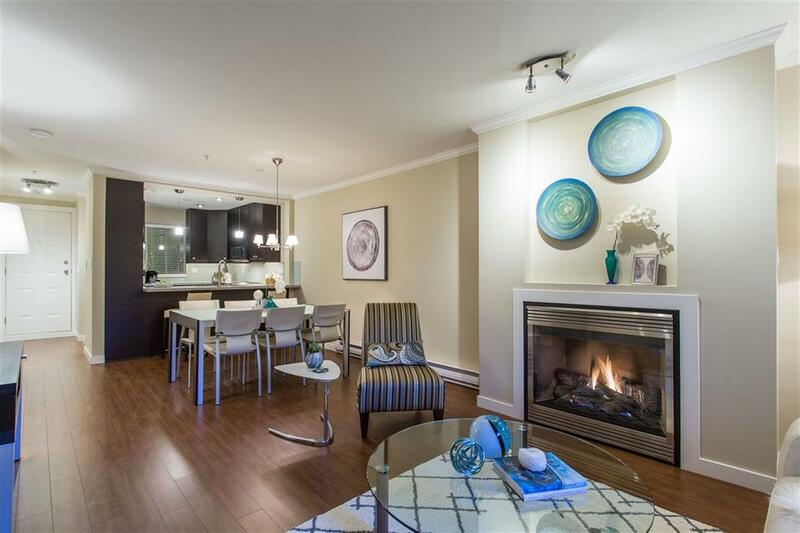 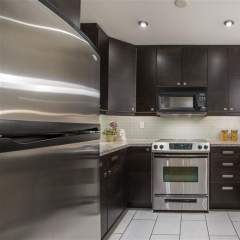 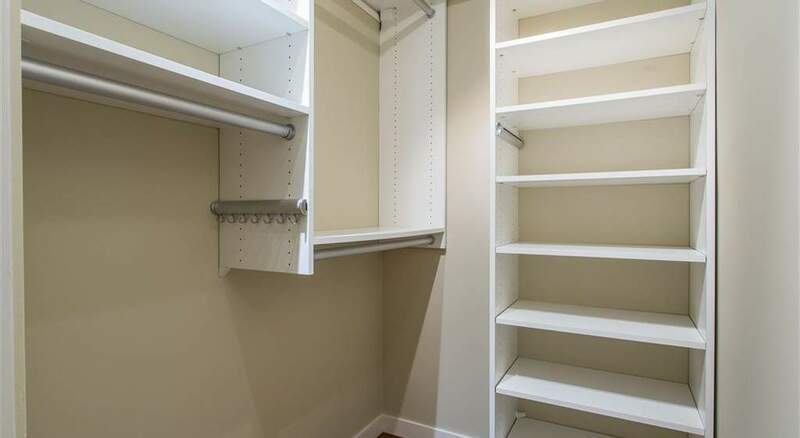 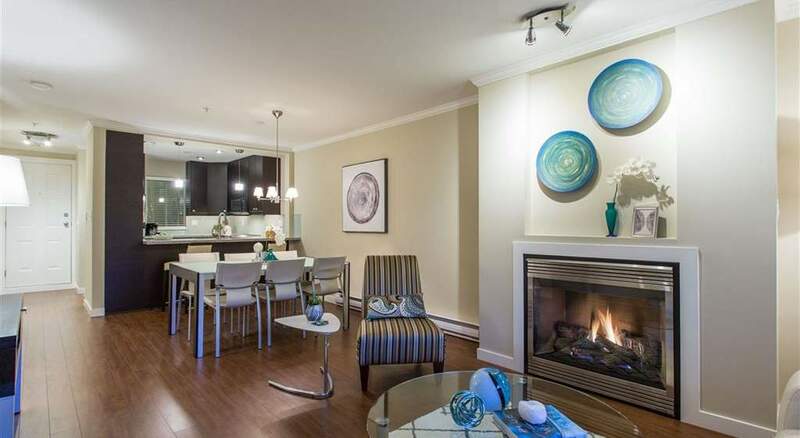 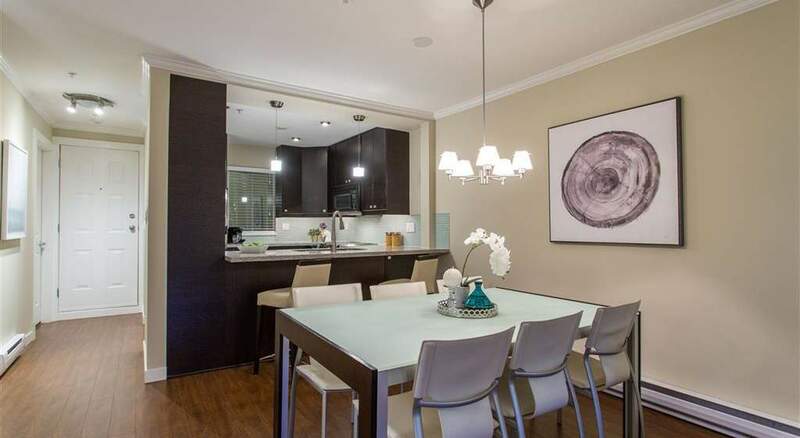 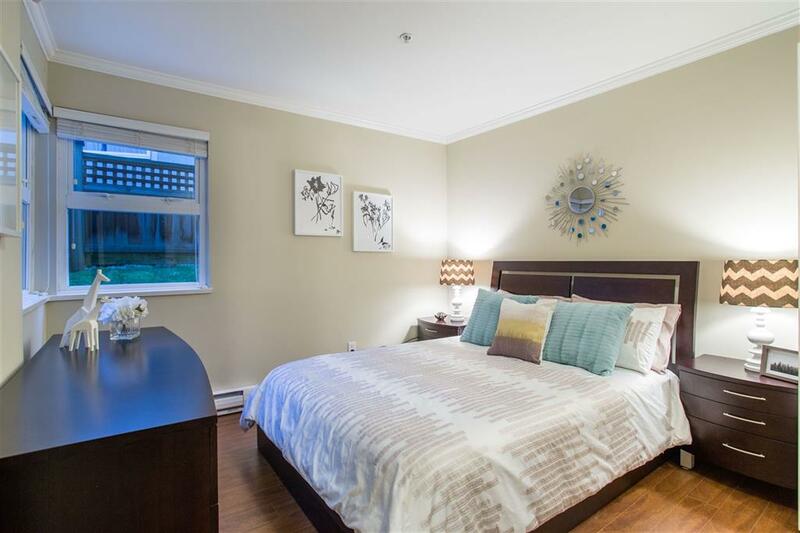 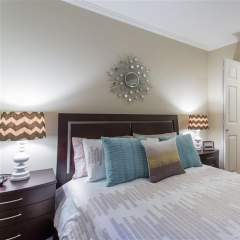 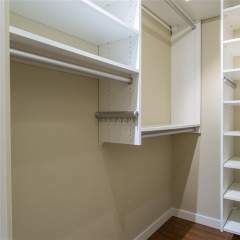 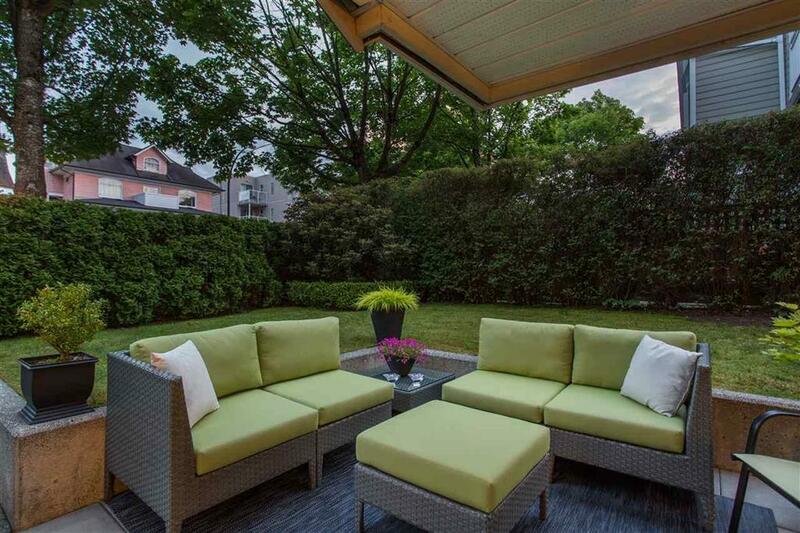 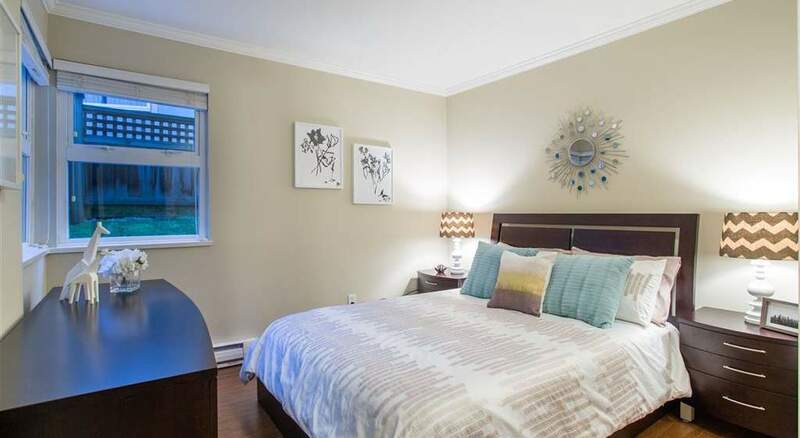 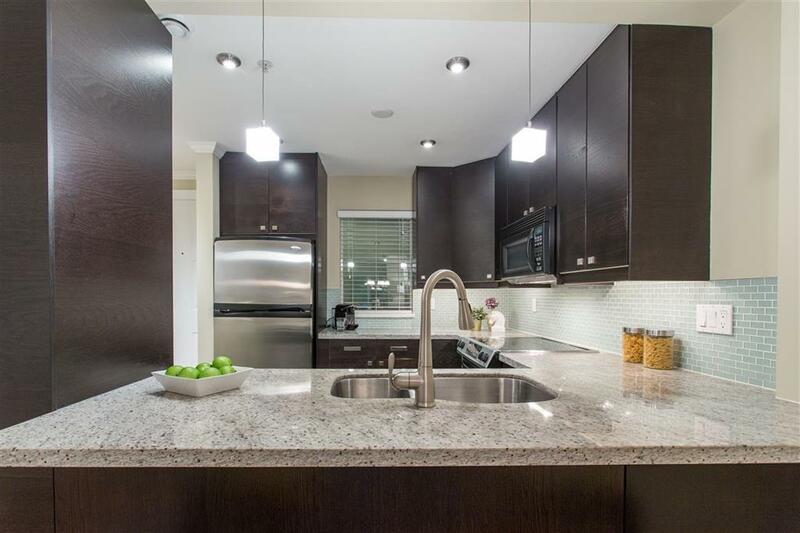 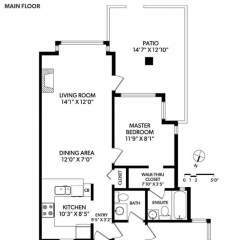 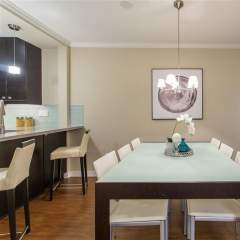 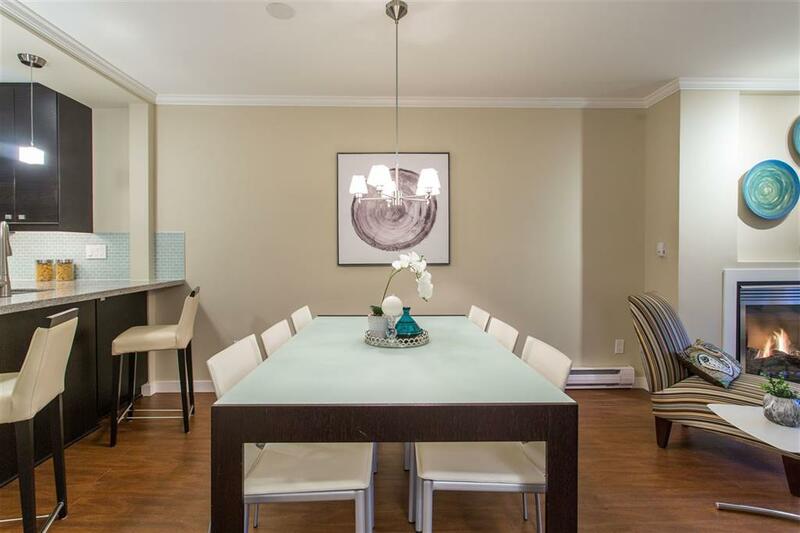 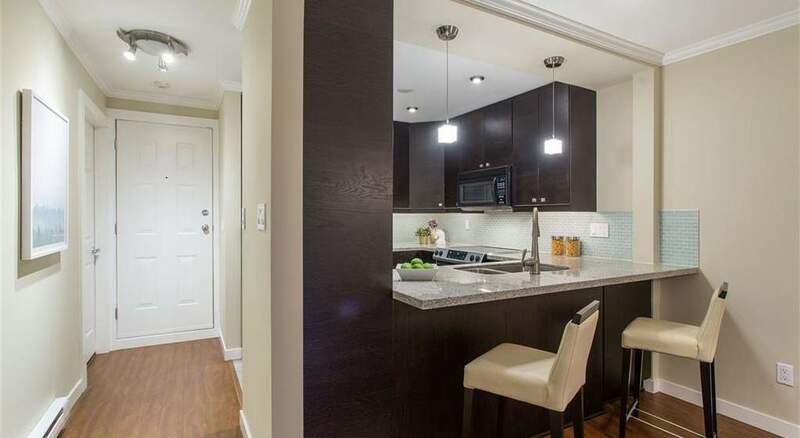 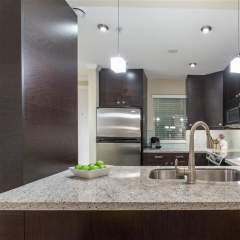 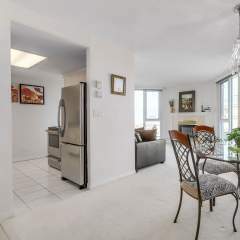 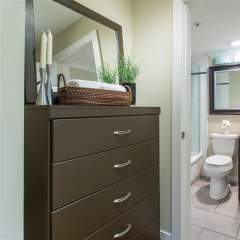 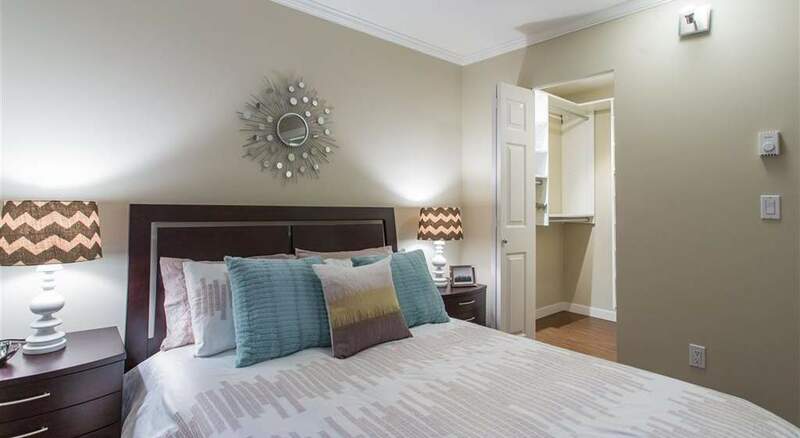 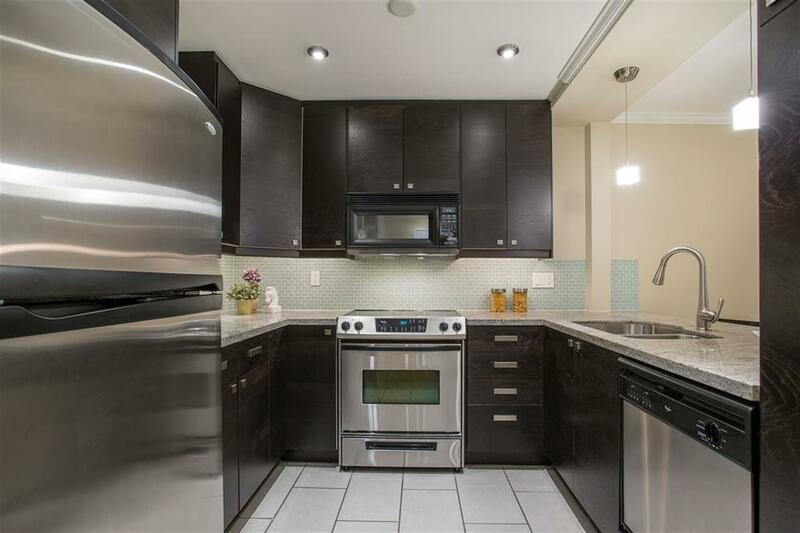 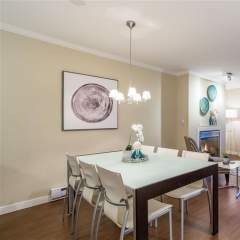 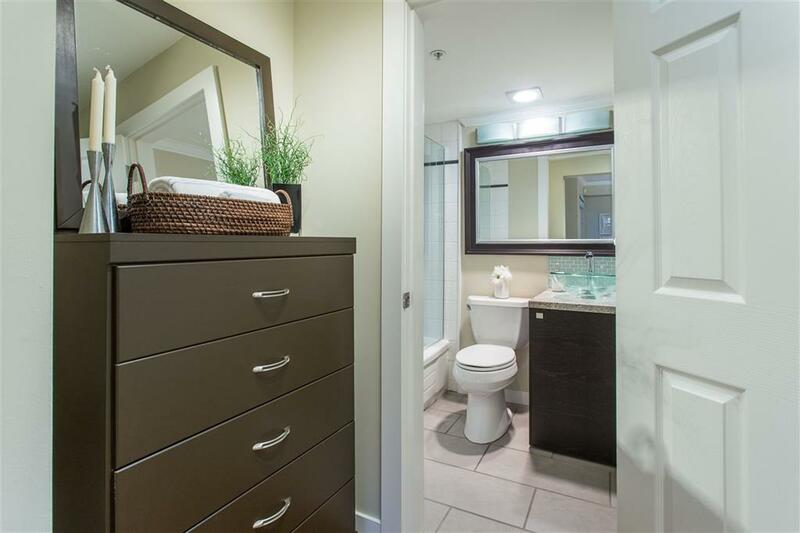 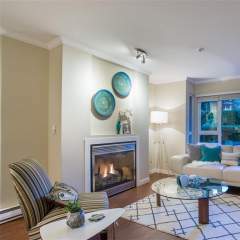 Stunningly renovated city townhome in prime Fairview location. 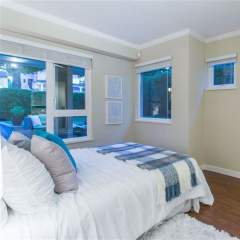 Complete w street-access private gated entrance commanding an amazing south-facing 200 sf private patio, this bright + quiet show suite has it all – two master suites each w their own ensuites, beautiful white granite kitchen w open breakfast bar, SS appliances, engineered merbau wood flooring throughout, 42” gas fireplace, crown moldings. 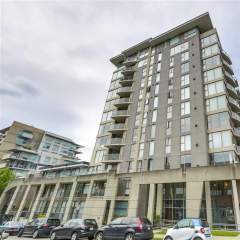 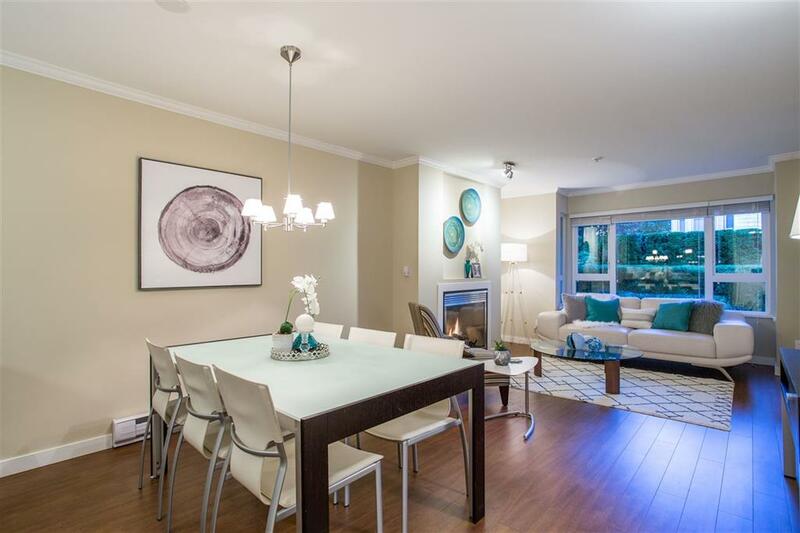 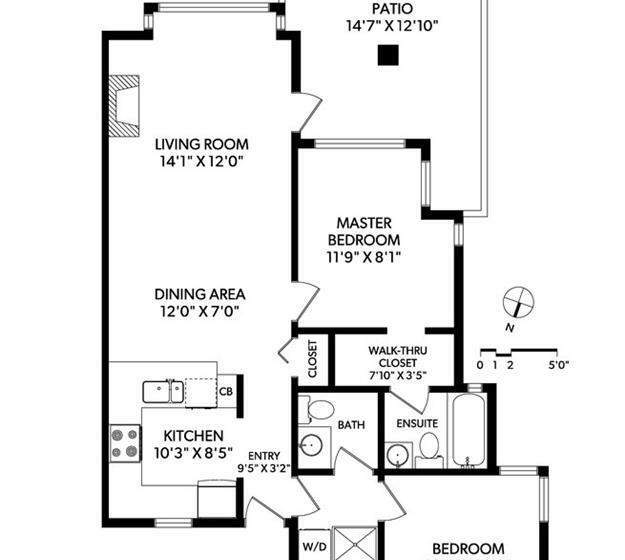 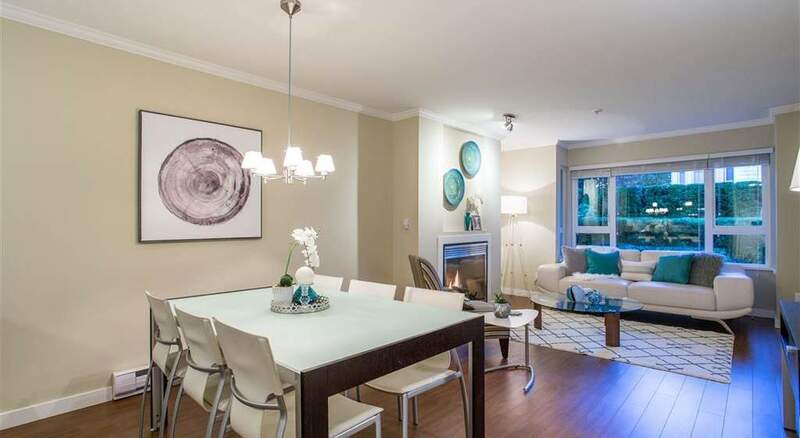 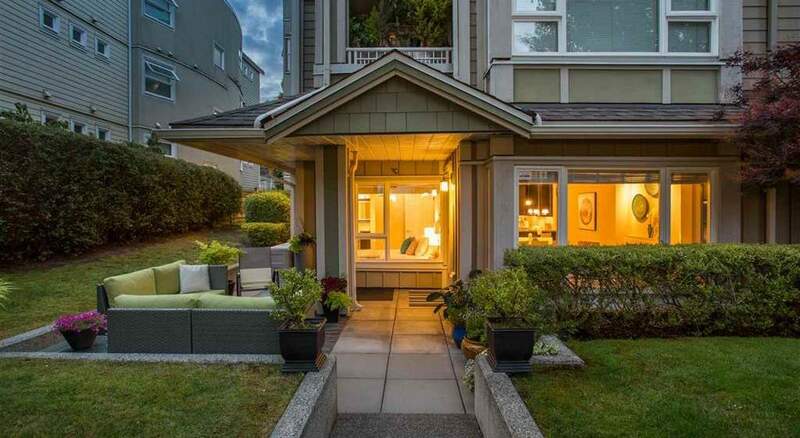 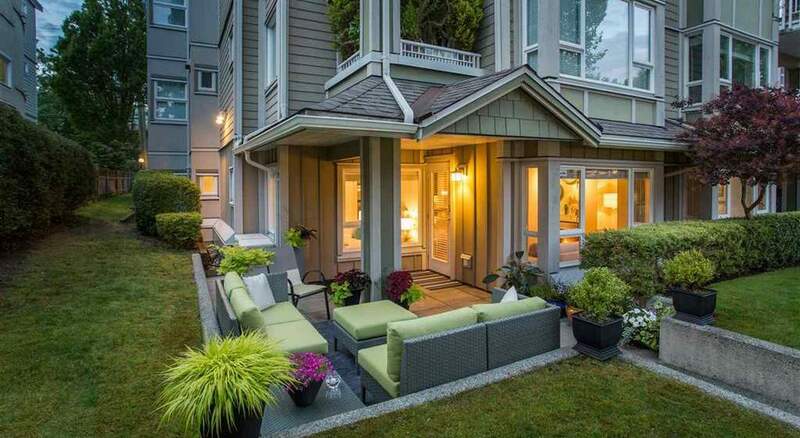 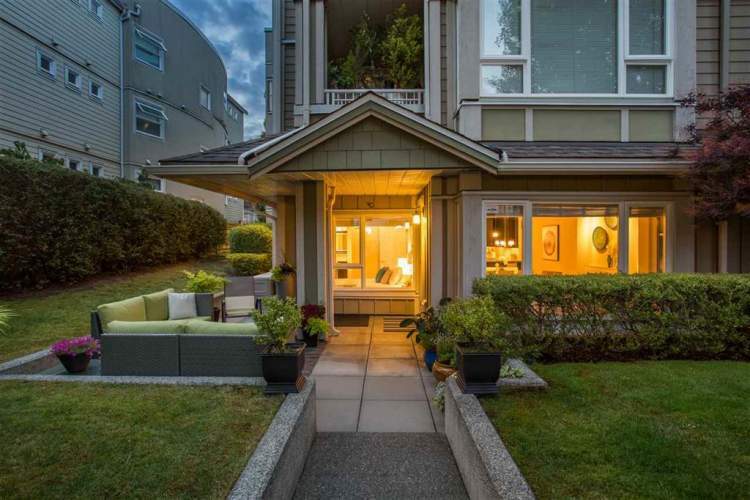 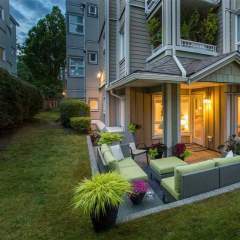 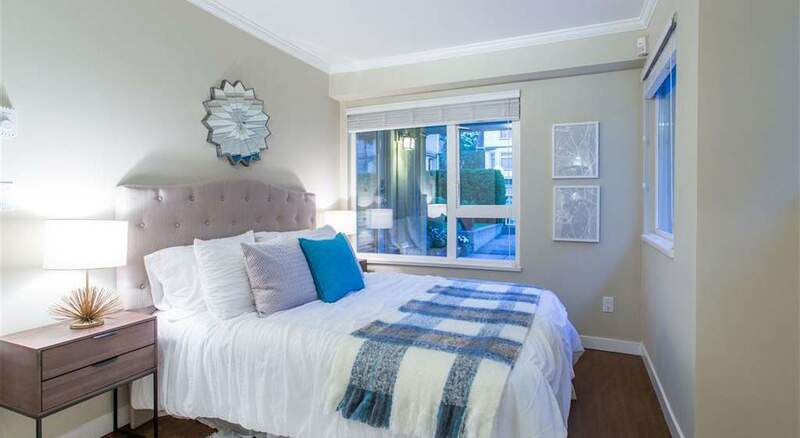 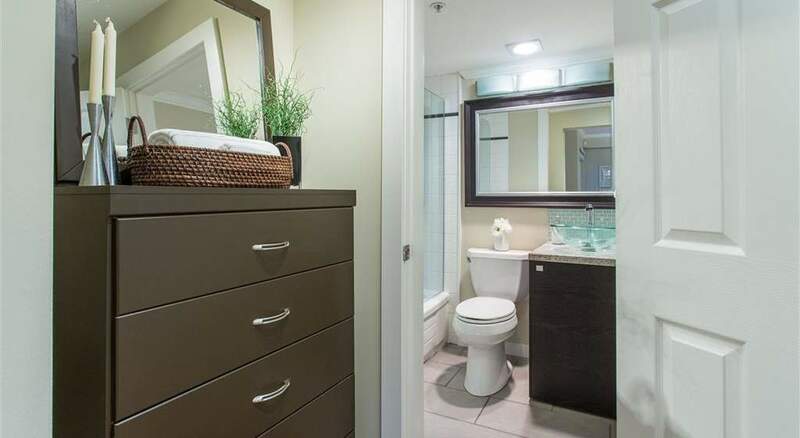 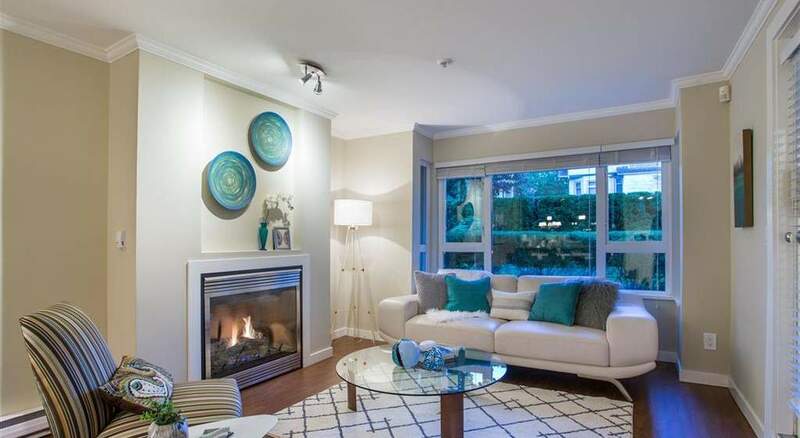 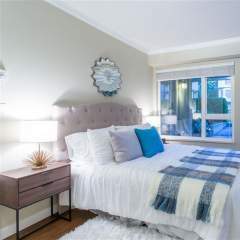 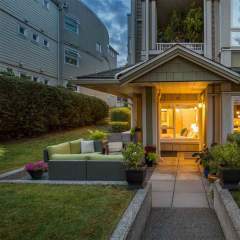 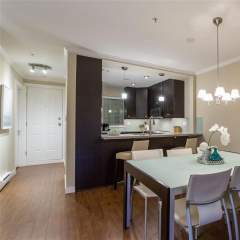 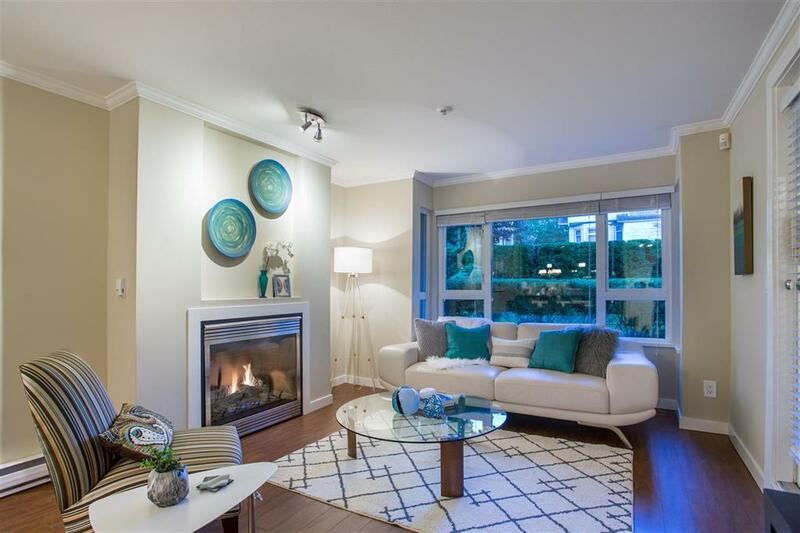 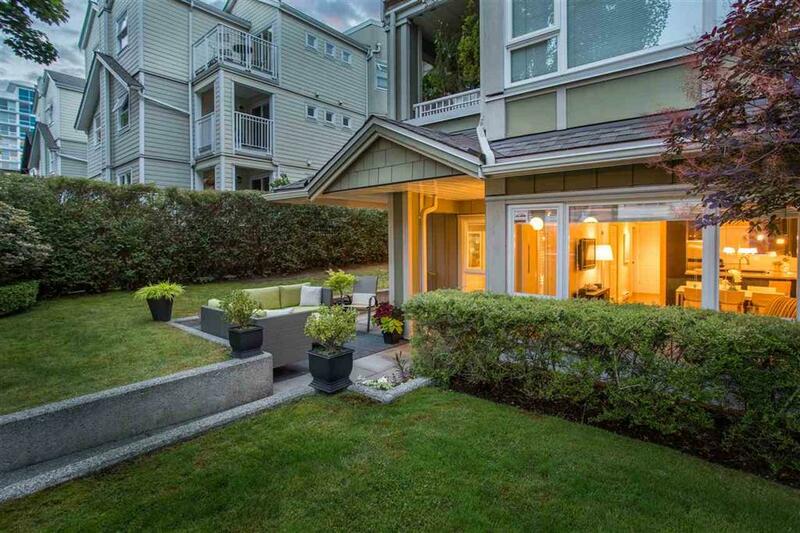 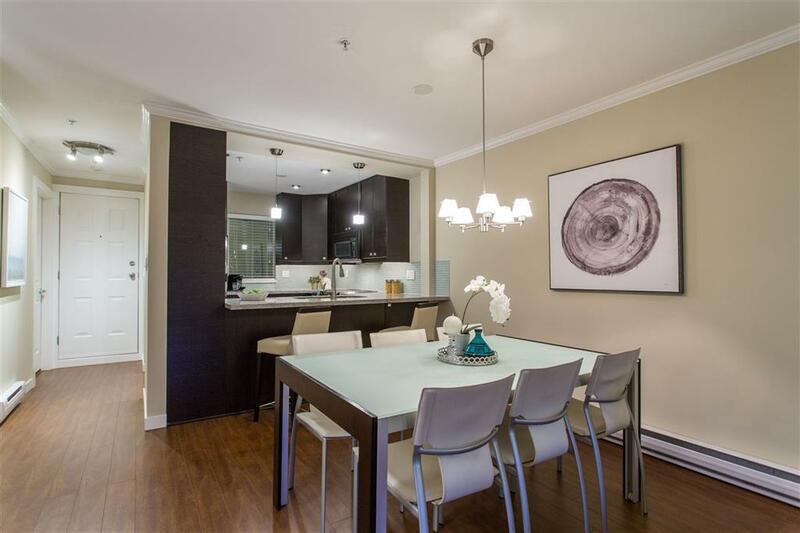 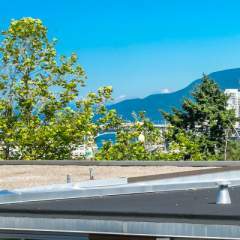 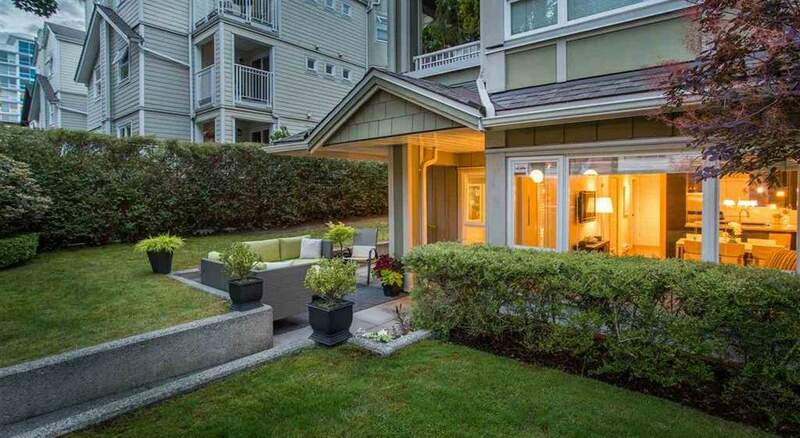 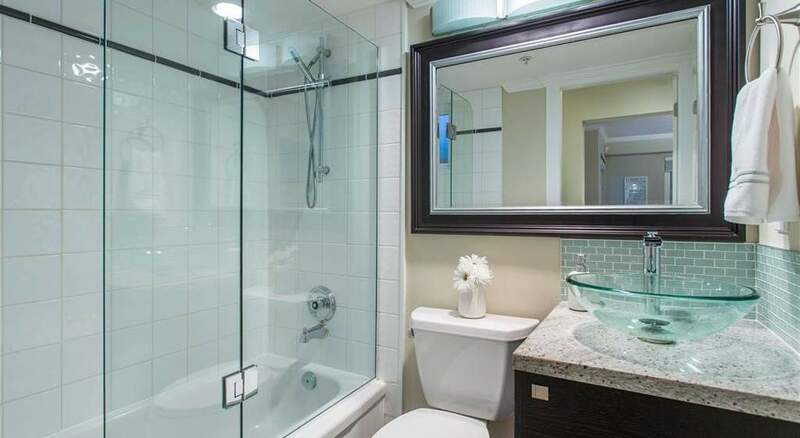 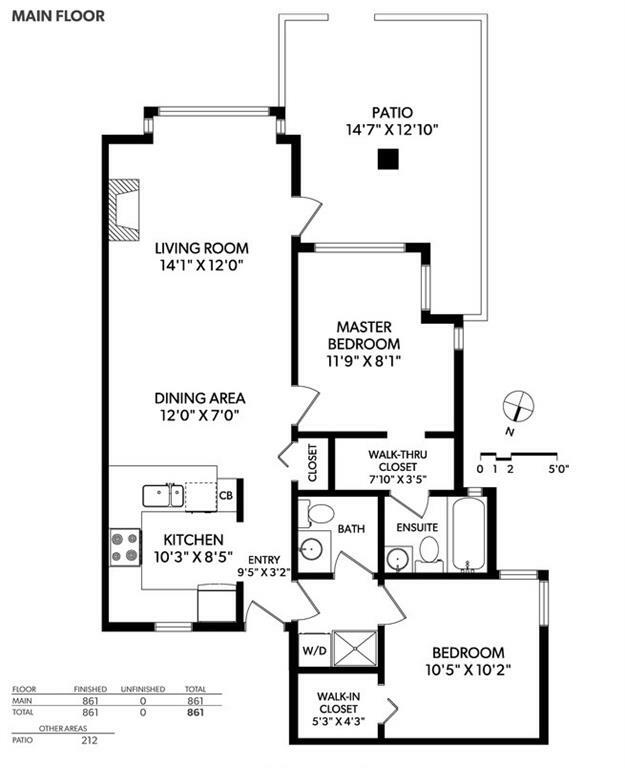 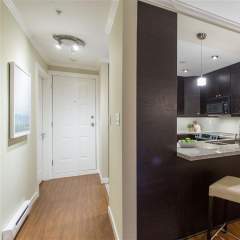 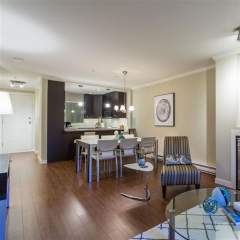 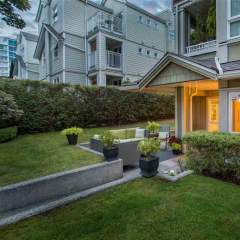 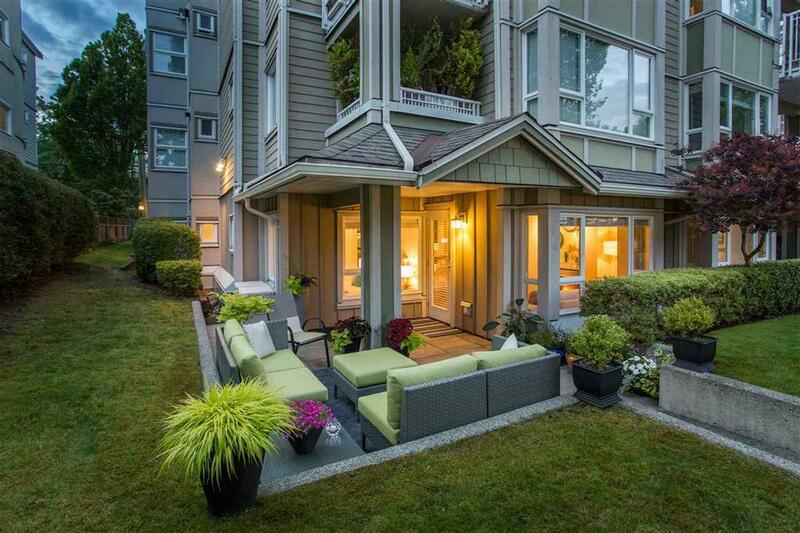 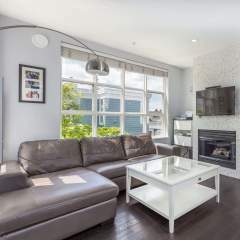 All in a rainscreened building steps to VGH, Cambie + Granville shopping, Cambie Transit! 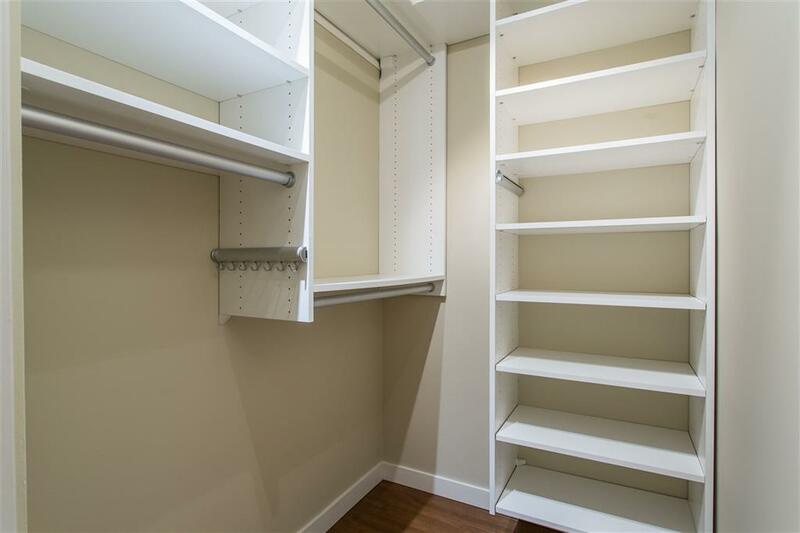 1 parking + 2 lockers. 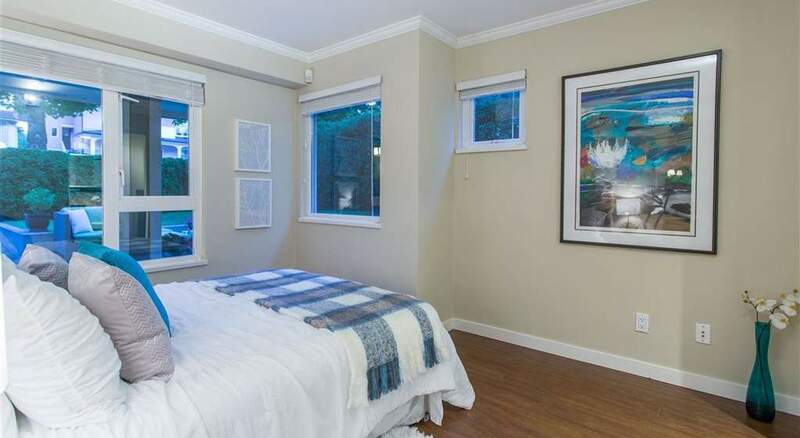 Pets ok (1 dog or 2 cats).